My son had an interesting assignment in his religion class and like so many other things that I come across I believe there is a lesson in it to be shared. The assignment was to write a paragraph about an unrecognized saint. Someone who they thought embodies the spirit of a saint. DON’T PROCEED UNTIL YOU’VE READ THE ABOVE LINK – I mean it! So that’s right. 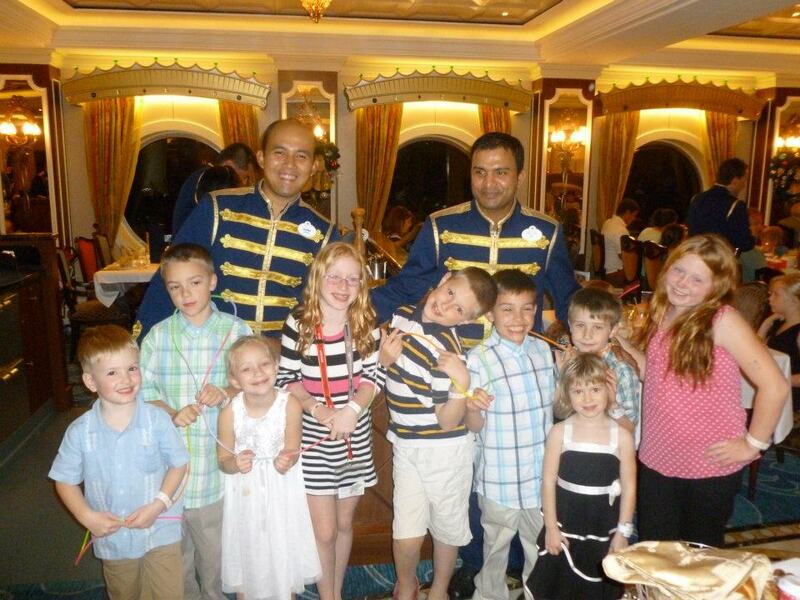 My son’s unrecognized Saint was his Waiter on a Disney Cruise – Milton. And by the way that cruise was two years ago. This single Disney employee created such a positive experience for my son that two years later he still remembers him. Is there any doubt that Aiden will be a fan of Disney for the rest of his life? Are you creating positive indelible experiences for your customers/members? How much has your bank taken from taxpayers? ≈ Comments Off on How much has your bank taken from taxpayers? Are you finding these FI’s more willing to lend money? Take up the cause and send a link to this blog to a friend who needs to learn more about Credit Unions. Return of the Credit Union! ≈ Comments Off on Return of the Credit Union! As you may or may not know I work for a credit union here in North Carolina, infact I have now officially worked in credit unions for 15 years. I know what you’re saying, “but Kris you look so young”. I know, thank you but it is the truth. And while I have not worked for the same credit union for 15 years, the ones I have worked at are leaders in the industry and I am very proud to have worked for such fine institutions. (I wrote that just in case my boss reads this post!) No really, I love credit unions. But recently there have been a couple of items that give me cause for concern. Firstly, we were conducting research for a project at work and decided that we’d like to hear from our members and from some non-members about our plans so we set up a series of focus groups. The focus groups that contained members were fabulous. Because I work in IT, behind the Curtain, I don’t often get to meet members and I relish every chance I get to meet and work with them, I find it energizing. The meetings with the non-members were also interesting but what became clear pretty quickly was that the younger non-members had no idea what a credit union was. We heard some comments like, “I think they are just like a bank, but I can’t join.” As someone who has worked in credit unions since I was 15, I can tell you I was stunned and a little dismayed. Credit Union’s and banks are NOT the same, but why didn’t they know that? Why didn’t they know that credit unions are not-for-profit organizations, doesn’t everyone know that? Secondly, a repeating theme has been coming up in planning for next year, and I suspect it is a similar discussion at every financial institution . You see as the baby boomers begin to retire, on average, their need for loans begins to decrease dramatically. Well a healthy loan portfolio is one of the cornerstones to a successful credit union. Where will the new market for loans come from . . . .the X’s, Y’s, and millenials. But they don’t know what a credit union is (see item one), ut-ohh. Well we have to tell them! We need to tell them how the interest they pay on loans, credit cards, and mortgages at a credit union is returned to them in the form of more products and services at lower cost, and higher savings rates than banks. For banks that income is turned into profits for the stockholders, or war chests to buy up the competition and return more value to . . their stockholder. Nowhere are they returing value to their customers. One of the many national organizations conerned with credit unions needs to begin building a national credit union advertising campaign to highlight the benefits of using credit unions instead of banks. And it should stress to every american that there is a credit union you can join today. In our brand consious world we need to spend some time building the credit union brand. So that the new alliance of credit unions can strike back at the empire banks have built. All we need is our Luke Skywalker! Credit unions can be hip, my generation is very likely to get behind non-profit intiatives that stick it to greedy corporations like banks . . .Credit Unions can be a perfect fit with this group but someone is going to have to say it! Full Financial Products and Services Available! Why is this commercial and one’s like it not on in every major market in the country.